The ‘Four Au Pain’ (Bread Oven) at Mas Sarrat has a history dating back over 700 years. The current oven is certainly more than 200 hundred years old and bread would have been baked on this site continuously until after WW2. 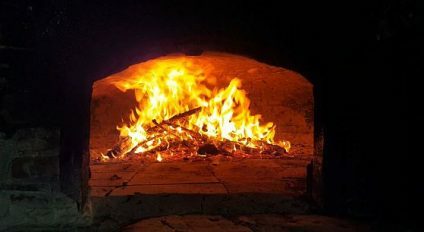 Although the oven is no longer used as originally intended it has been fully restored by the local residents and is regularly used for festivals. At Manna from Devon we now have a unique opportunity to use this beautiful woodfired oven as the group who’ve brought it back to life have given us permission to use it. 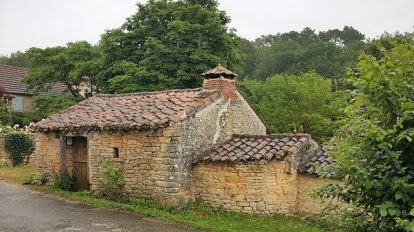 We’re planning a 4 night visit during which we’ll use the oven to bake bread and make our meals, explore the medieval town of Cahors, enjoy relaxing walks and cook a feast for the local community. 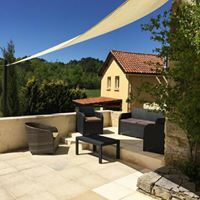 This will be a brilliant trip for woodfired enthusiasts, keen bakers and lovers of French food and culture. Accommodation will be in three dedicated family, holiday cottages in the tiny hamlet of Mas Sarrat. Thyme and Willow Cottages are run by our host, Fiona Waring. 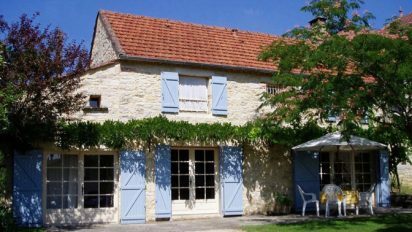 Lavander cottage is next door in the beautiful setting of the Lavander Farm at Lavande de Lherm. Monday 29th April: Arrive at Bergerac Airport airport by 1pm for transport to Mas Sarrat. We’ll have a late lunch, a first look at the oven and explore the surrounding area. In the evening we’ll have a barbecue dinner. Tuesday 30th April: Time to get acquainted with the Four Du Pain. 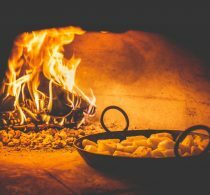 We’ll fire the oven and prepare batches of bread and pastries. We’ll also use it to make our lunch and dinner. If you fancy a walk or swim there will be plenty of time for this. 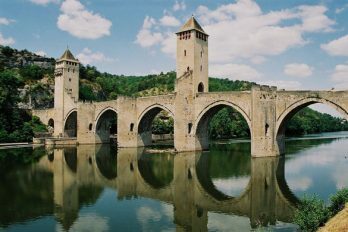 Wednesday: Today we’ll visit the stunning Medieval town of Cahors, capital of the Lot region and home to the famous black wines of Cahors. Wednesday is market day, ideal for picking up supplies for the rest of the week as well a souvenir or two of your visit. We’ll explore the market, have lunch together then split up to explore the town. In the evening, back at Mas Sarrat, we’ll cook dinner in the oven. 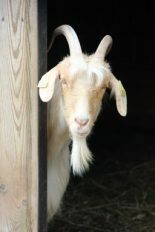 Thursday: After breakfast we’ll walk in the local area, paying a visit to a local goat farm. Having seen the cheese making process in action we’ll bu cheese for lunch. In the afternoon some can gather wood for faggots while others prepare for the evening. We’ll cook a feast and invite the nwighbours as a thank you for allowing us to use the oven. The village will not have seen anything like it. Friday 3rd May: Time for a final short walk and breakfast before we head to Bergerac airport. Cost £845 per person excluding flights. Are flights included in the cost of the holiday? No flights aren’t covered nor any travel costs, including travel insurance, airport parking, travel from your home to the airport and back again. Do I need to fly? No you can take the cross Channel ferry and drive; we’ll be 7-8 hours from the Channel ports. 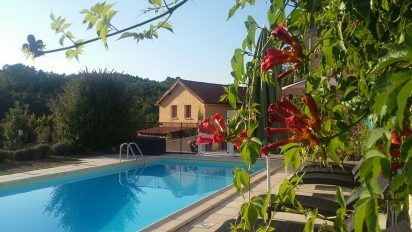 You can also come by train to Bergerac to coincide with the pick up from the airport. What is the accommodation? Our guests will stay in three cottages regularly run as holiday accommodation. Weather permitting we’ll have our dinners outside but may use one of the cottages as communal space in poor weather. Will you supply towels or do we need to bring them? We have towels for you to use in your accommodation so no you don’t have to bring them. Do I have to share a bathroom? The cottages have shared bathrooms so you will share with one other couple at most. Are drinks included? No but there will be an honesty bar stocked with excellent value local wines and beer in operation throughout. What meals are included? All your meals are included from arrival on Monday until breakfast on the final morning. Can you accommodate different dietary requirements? Yes we can although do be aware all meals will be cooked in the same kitchen. Please let us know of any dietary requirements in advance. What will the weather be like? The weather in April and May is usually very mild, about 20c. with clear days and nights ideal for star gazing! It may rain. Do I have to do any cooking/go walking? No you don’t; you don’t have to do anything. If you’d rather lie in or spend the day by the pool, that’s fine; just let us know. What type of clothing/footwear will I need? Summer clothes you can layer up in case of a chill are fine. Bring your swimming and walking clothes if you’d like to join in with those activities. Walking shoes or trainers are good for walking. We want you to be comfortable so whatever you’re comfortable in. Is there a single supplement? There is no single supplement but you may be in a small single room. Is there Wi-fi? There is wifi but French countryside connectivity can be frustrating. If you do want to ensure you can pick up emails etc, it’s best to get on to 4G. David runs Manna from Devon Cooking School in beautiful South Devon. His specialities are bread making and woodfired cooking. Much as he loves where he lives, one of his passions is to travel, exploring different countries’ food and sharing his experiences with guests of the cooking school. Kit has been helping David and Holly at the cooking school for several years, especially with fish classes and woodfired classes and demonstrations. Kit has cooked professionally for many years and owned and ran the acclaimed Nonsuch House hotel until his recent retirement. Fiona lives in Mas Sarrat where she owns two holiday cottages which she lets throughout the year. She has been instrumental inthe revival of the ‘Four Au Pain’ and is enormously excited to see it used to it’s full extent. Fiona will be our local expert, walking guide and translator. To book your places or if you have any other queries, phone us on 01803 752943 or you can book online.